Another cold day, another soup. 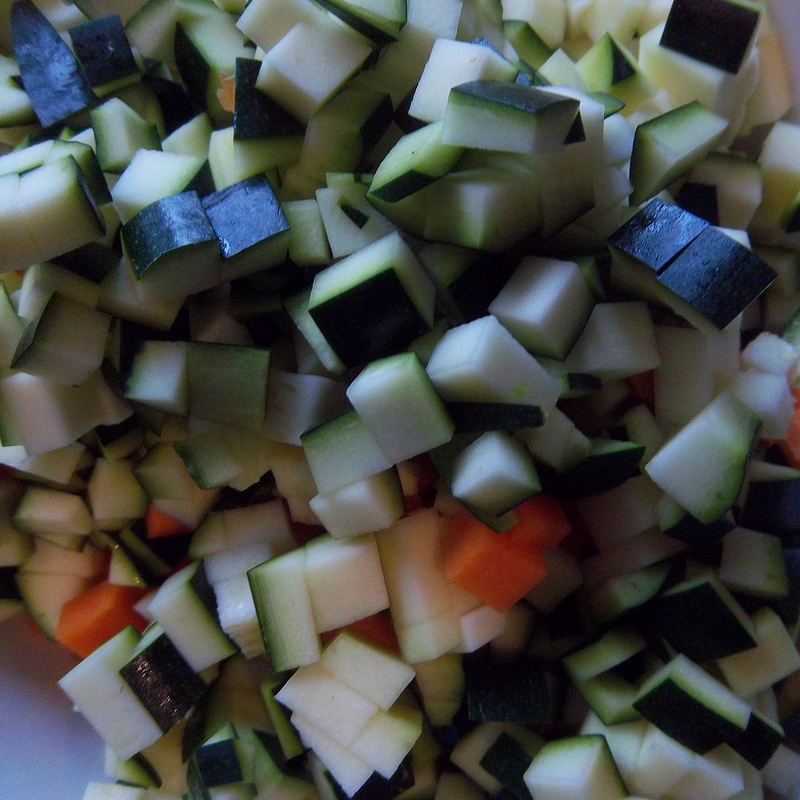 My minestrone is a bit time consuming, because of the amount of ingredients and prep but wonderfully relaxing to cook. 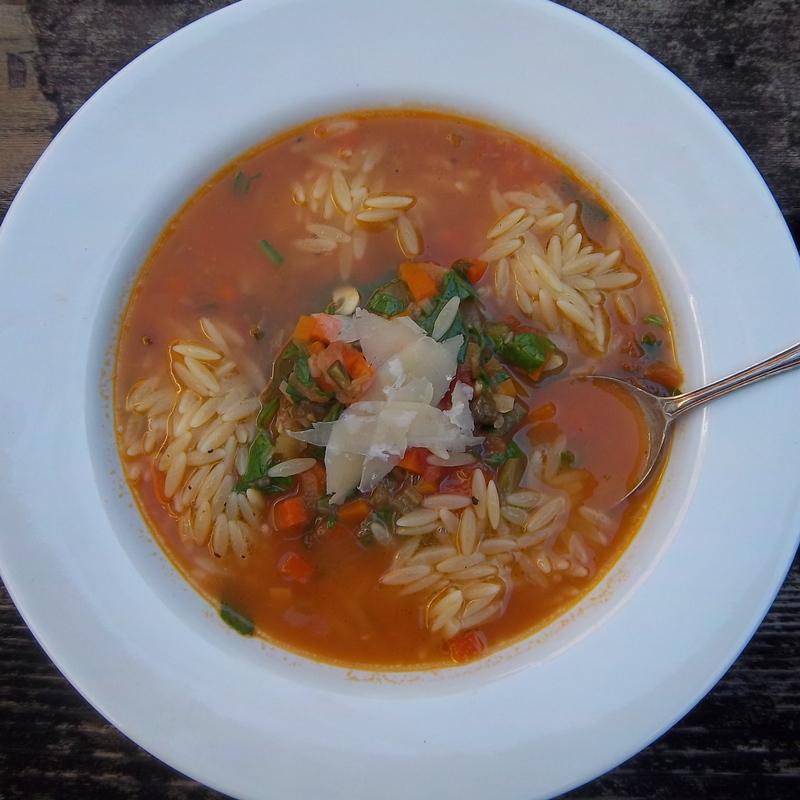 Because minestrone is not a smooth soup you have to take the time to make sure the texture just right. 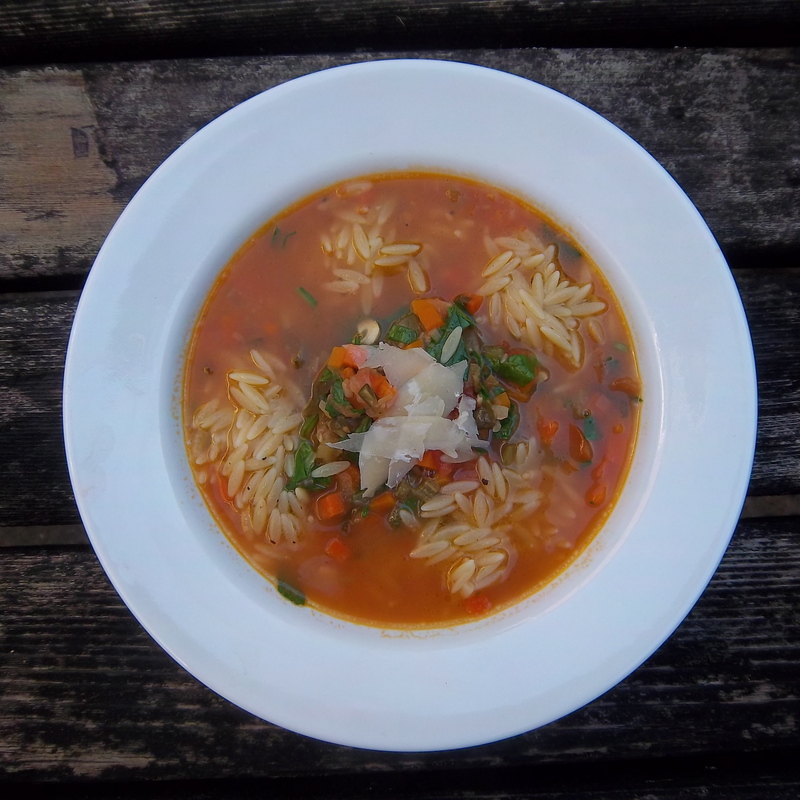 I like a minestrone to have all its ingredients chopped very tiny so that you get a lovely nubby mouthful every time but you don’t have to, you can have them cut larger, just adjust the cooking time. You can also make this soup with or without the pancetta but the addition of pork intensifies the flavour, and adds a little luxury. 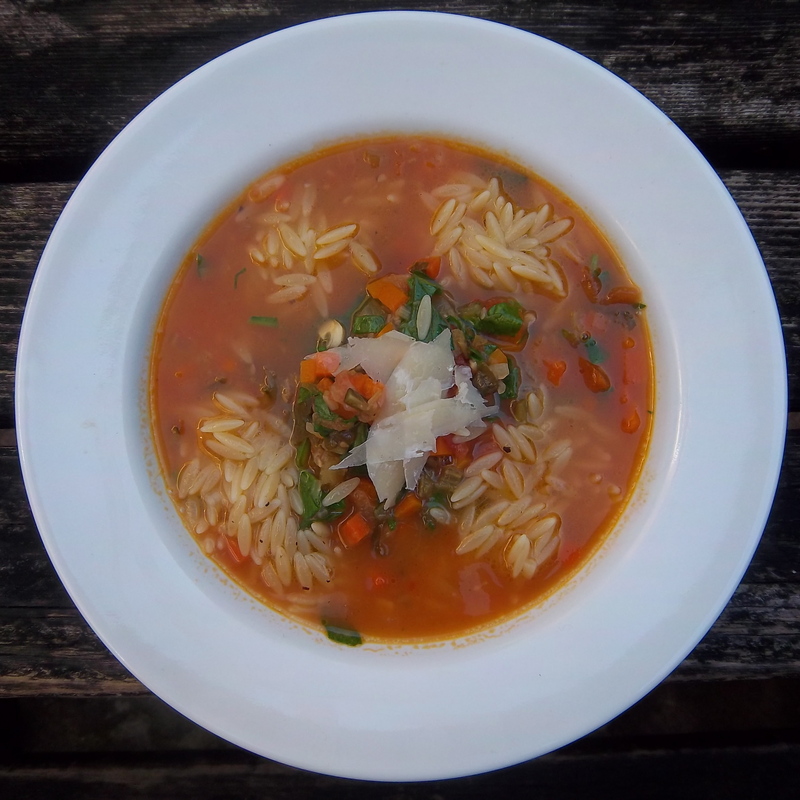 Traditionally minestrone is from the ‘cucina povera’ style of Italian cooking (literally ‘poor cooking’) as it is very cheap and very adaptable. In fact, you can (and should) try to use almost any vegetable, cabbage and turnip are common additions and beans and pasta are the Italian staple ingredients but you can experiment with whatever vegetables are in season and add beans, pancetta and stock to your taste or availability. 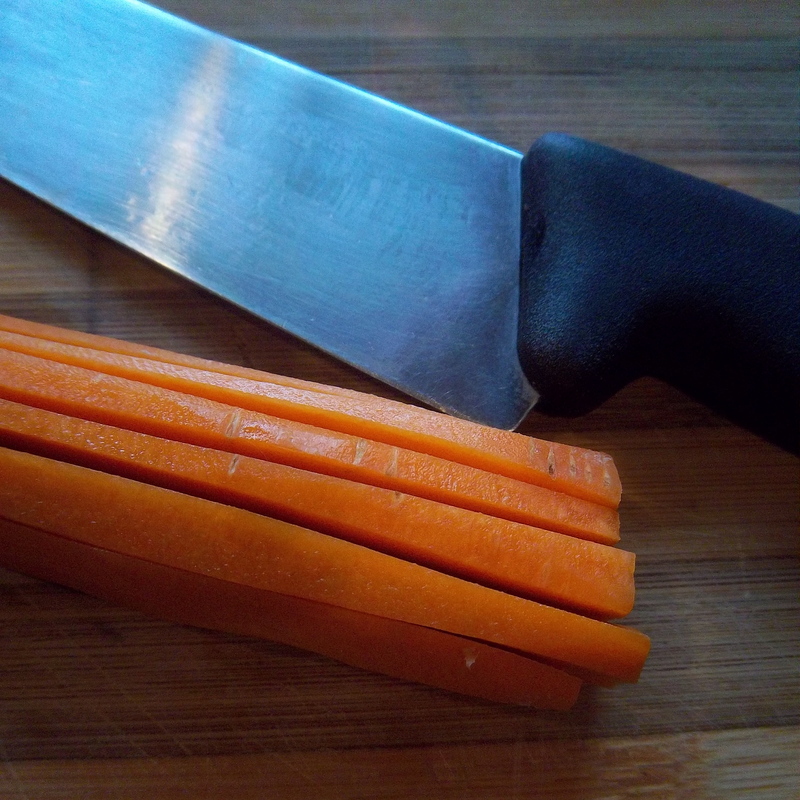 If you’re really pushing it, just use water instead of stock, it’s not as flavoursome, but still very good. I always cook my pasta separately if I’m planning on keeping any leftovers otherwise the pasta continues to increase in size while it absorbs all the soup liquid, but if you’re serving it all up, cook the pasta in the soup, it will absorb not only liquid but all the gorgeous flavours. 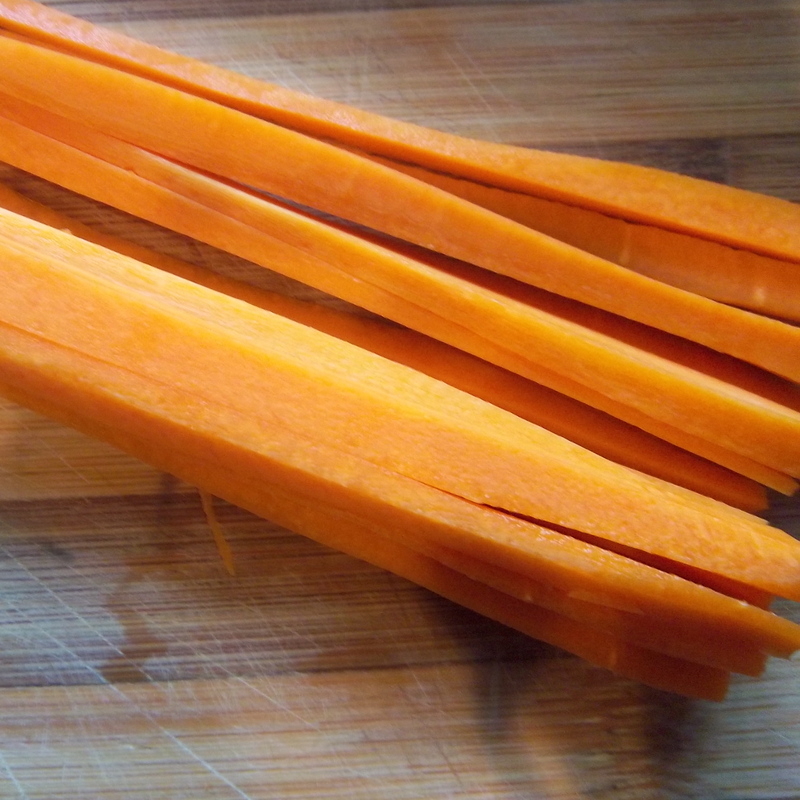 If you can’t find little pasta use spaghetti and break it into smaller pieces before cooking. 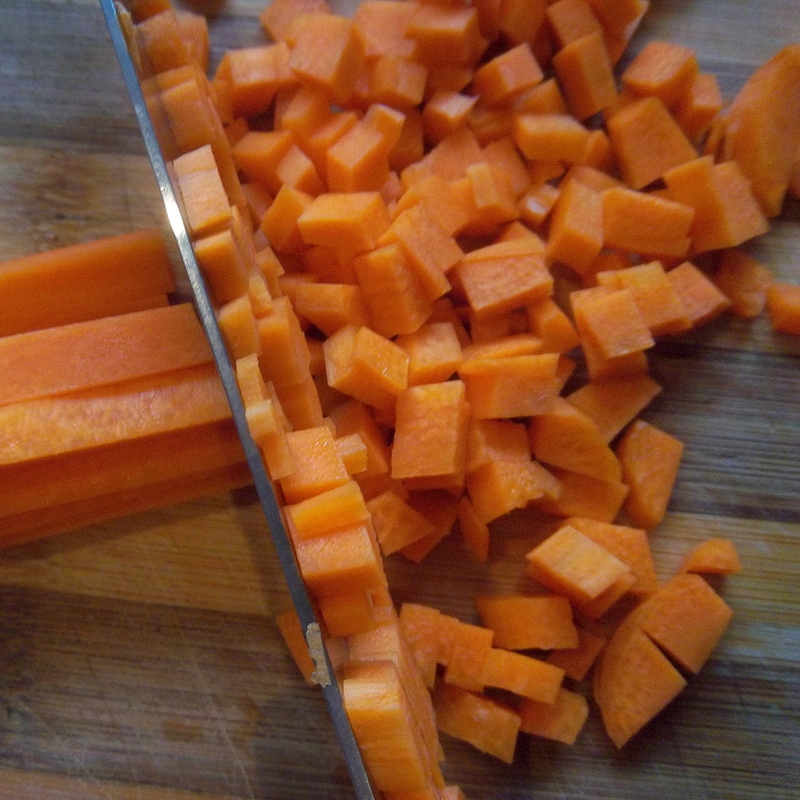 I’ve included some tips below on speeding up the chopping process but I recommend you take your time, put the radio on (or Desperate Housewives, my current weakness) and slowly prepare until everything is ready in neat little piles ready to cook! Chop your onion finely and the leek into thin rounds. Melt the butter in a large enough pan to hold all the ingredients and sweat the onions celery and carrots (and pancetta if your using it) on a very low heat for 10 minutes with the lid on. After 5 minutes add the courgettes, garlic, leek and courgettes and continue with the lid on for another 5-10 minutes until the vegetables are only just cooked. If you have cooked the pasta separately stir some olive oil through it and serve the soup with a few spoonfuls on top. Absolutely delicous. I must say, it’s one of my favourite things to eat on a cold day. Warming and hearty, yet not heavy.